Last week was filled with one interruption after another. Nothing seemed to fit in place. It all started when the painters arrived to paint the entire outside and a portion of the inside of our house. Oh, did I mention that it was three weeks earlier than they had originally told me? They had an opening and decided to get started on the job early. This change of plan kind of threw me for a loop! Didn’t they know that my week was already planned out with other things? Just being real with you! By the end of the week, the weather had turned to cold and rain, leaving the outside painting on hold after all the scraping and sanding had been done. Inside my house, there were rolls of rolls of wallpaper torn off the walls, laying all over the floor. The sanding of the walls spread a layer of dust over everything! My house looked like a war zone no matter where you looked! I know this sounds incredibly pouty, but again just painting (no pun intended) a real picture of what unglued me last week! Sunday morning arrived, and I was certainly not in the mood for worship. My house was a mess and so was my heart! I was cranky and barking at my family. (So sorry, my dear loved ones!) I wish I could tell you that I got it all straightened out before leaving for church. Sadly, I didn’t. I was mad all the way to church and then stood and greeted people at the door as if nothing was wrong!! UGGG! Does this sound familiar to you too?! As the church service began, my husband and I made our way from our greeters spot at the church doors into the sanctuary. I listened to the people singing praises. My mind wandered to the many times that week where my prayers were mostly filled with my pouting, instead of gratitude and praise. As I considered this, I realized I was hearing no condemnation, only His nudge on my heart to remember who He is and His faithfulness to me. 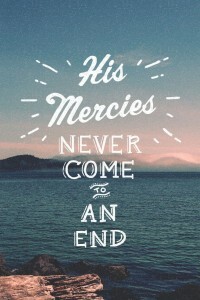 He reminded me that He wanted to extend His mercies to me right there in that moment. Ahhhh…just what I needed to hear! A start over button had been pushed! Softly, I started to sing. Then my hands lifted and I sang with abandonment to the One whose mercies are astoundingly endless! 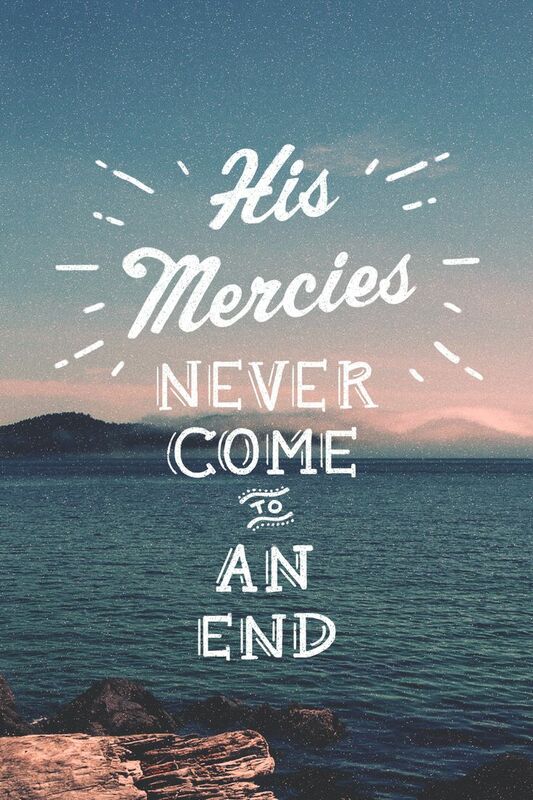 Take some time right now to worship Him and thank Him for His perfect compassion towards you. Thank Him that no matter how badly you have blown it, you may approach Him with great confidence and find His inexhaustible gifts of mercy and amazing grace. Thank you Kathy for the encouragement and reminder. Lisa, You are most welcome! Miss seeing your smiling face!